When drones first came into mainstream use, the gadget’s vast potential in changing the way we capture video was a game changer. It opened a whole new angle to filmmaking, literally, as it made aerial cinematography a more accessible option. It’s not just in traditional styles of filming that drones are proving their worth; with virtual reality (VR) added to the picture, there’s about to be another serious transformation of video content as we know it. 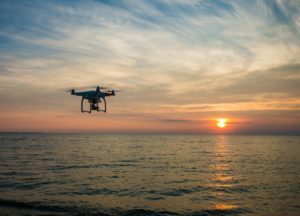 To echo the sentiments of NAB Show Daily News on the benefits of unmanned aerial videography, drones make it possible to reach uncharted territories. 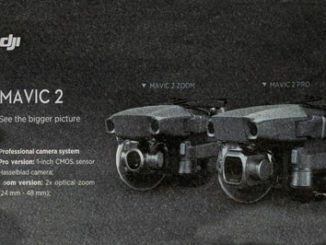 The technology is becoming more agile and resistant to the elements, making it capable of capturing the nitty-gritty details with landscapes and high-speed environments. One of the exciting avenues that VR is currently testing the waters is with fast-paced sports. Coral notes how it’s used to stream Major League Baseball games and NASCAR events, providing a new level of interaction. What VR does is deliver immersive experiences and brings fans closer to the action of sporting events. With headsets, they can share in the energy of stadiums, which would be difficult to replicate with speakers on a 2D television screen. Compared to van-loads of equipment, drones are becoming more portable too. In fact, Doddle News previously reported that the DJI Mavic Air that is so small and lightweight, it’s almost the same size as a smartphone. Even with those dimensions, DJI’s newest quadcopter drone still packs a 4k camera. For shooting VR, a Medium article on VR’s limitations in 2016 mentions that quality resolution starts at 4k and anything below that will look pixelated. A 1080p resolution may look sharp on a phone or a TV, but compared to regular video, what makes the suspension of disbelief possible in VR is the sense of depth. It’s what makes users think that they’re actually walking through a forest or flying over impressive vistas. Even 360° videos with expansive height and width are still essentially two-dimensional images. Creating VR content does not come cheap, but thanks to drones, they’re becoming more economical. Traditionally, filmmakers would have to hire choppers and wait for the best environmental conditions to get the overhead shot. Obviously, that is a much more expensive and time-consuming option than if you were to shoot with drones. It doesn’t have to be limited to aerial videography, though. 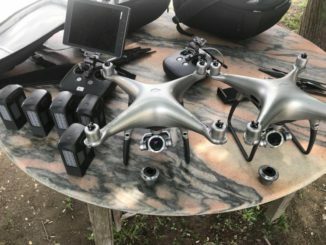 No Film School noted that with an expert pilot, drones can shoot from high and low angles equally well and get the tracking shots that you need for VR content. 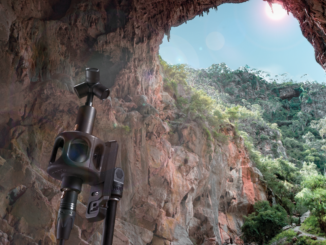 VR needs to capture literally all angles and how filmmakers make that possible is through connecting all the footages into a single video workflow— and that can be a challenging task as crew can get in the way. 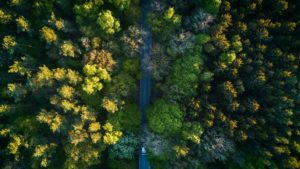 With drones, however, the crew and gear are virtually undetectable since they don’t need to take up a huge amount of space and pilots can literally operate from a distance without being an obstruction in the camera’s field of view. 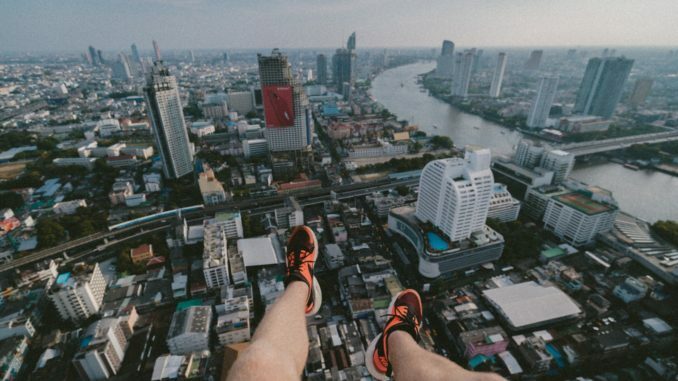 Shooting VR with drones is still in its infancy, having not being widely adopted due to limited cameras and remote gadgets that enable VR shooting. Nonetheless, some production companies have fitted their own unmanned aerial vehicles (UAV) with VR cameras to create a more immersive experience for viewers. And that could mean that thanks to drones Virtual Reality may, finally, and quite literally, take off.